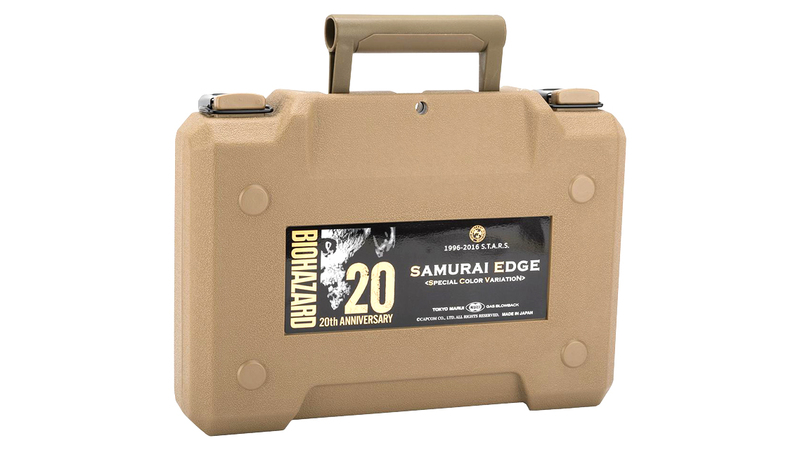 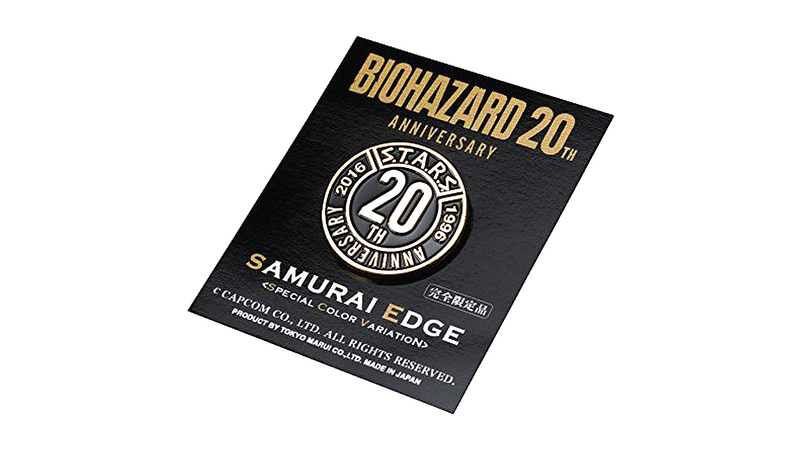 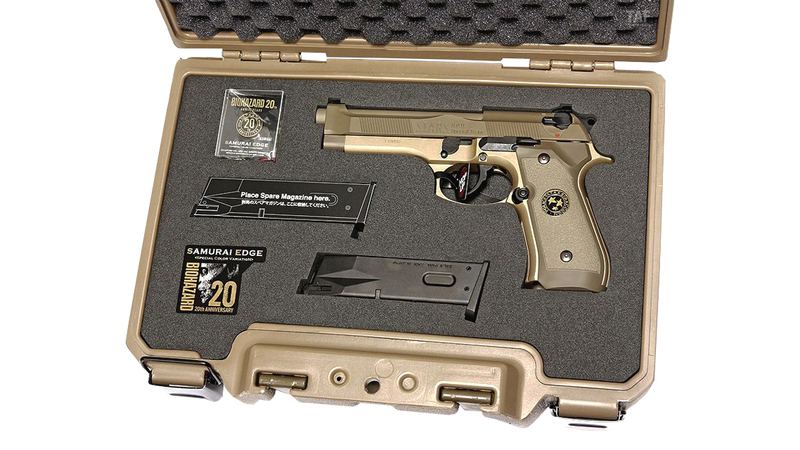 Year 2016 marks the 20th Anniversary since the introduction of the first Biohazard / Resident Evil and Tokyo Marui have introduced us yet another special commemorative Samruai Edge, the Biohazard 20th Anniversary Samurai Edge Special Color Variation Limited Edition, which not only have a distinctive color, but comes with a delicate hard case as well. 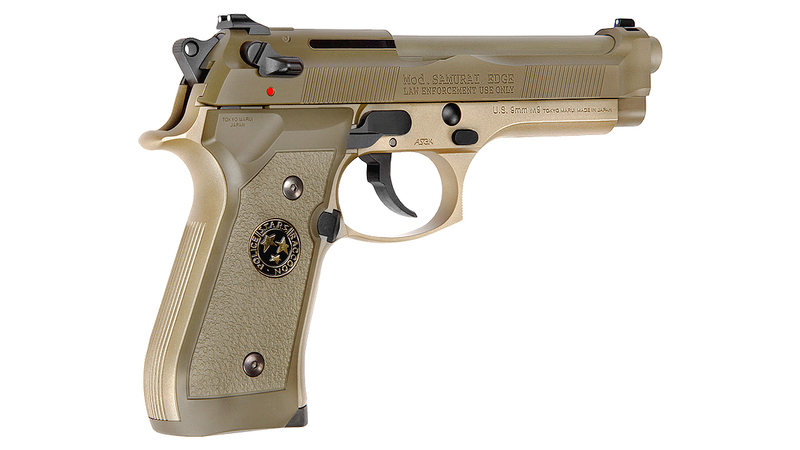 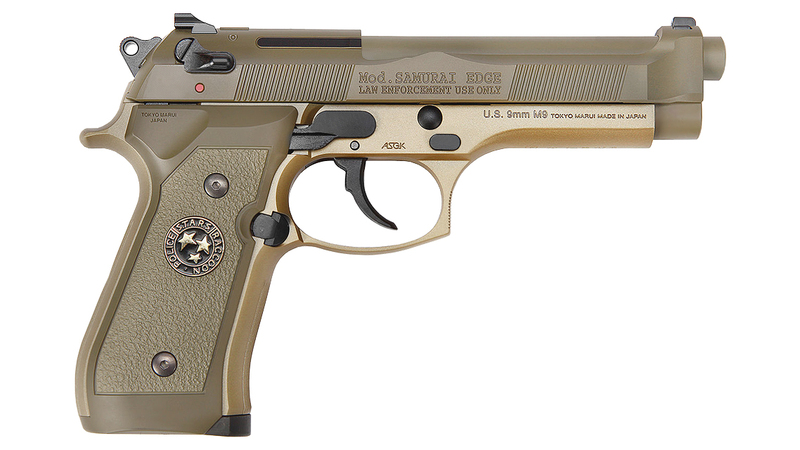 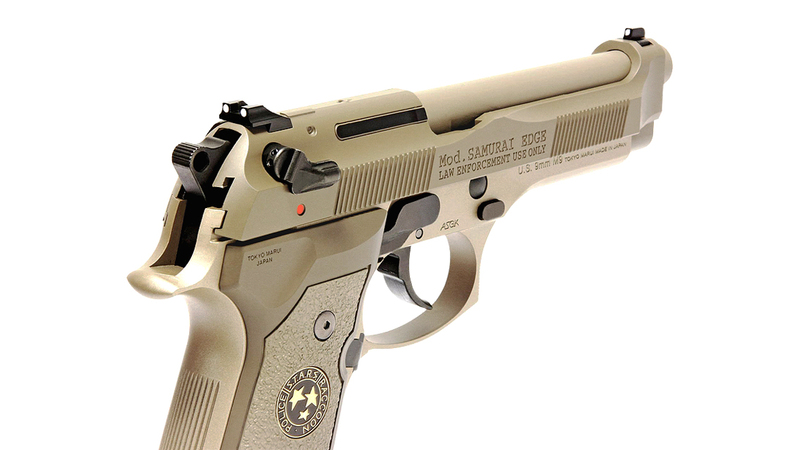 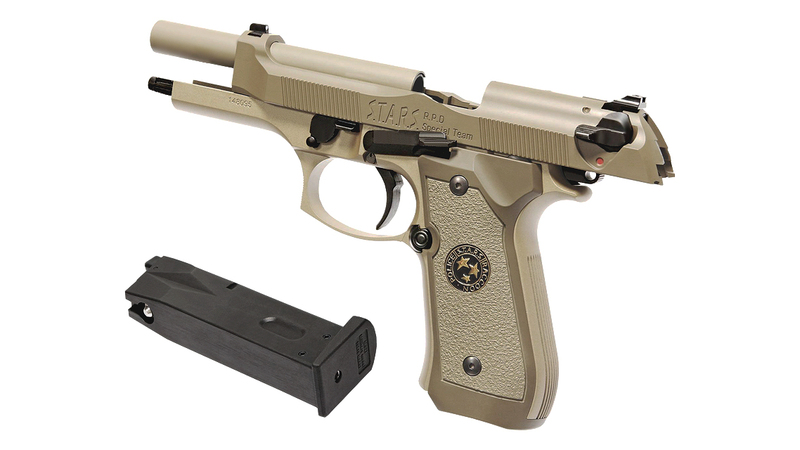 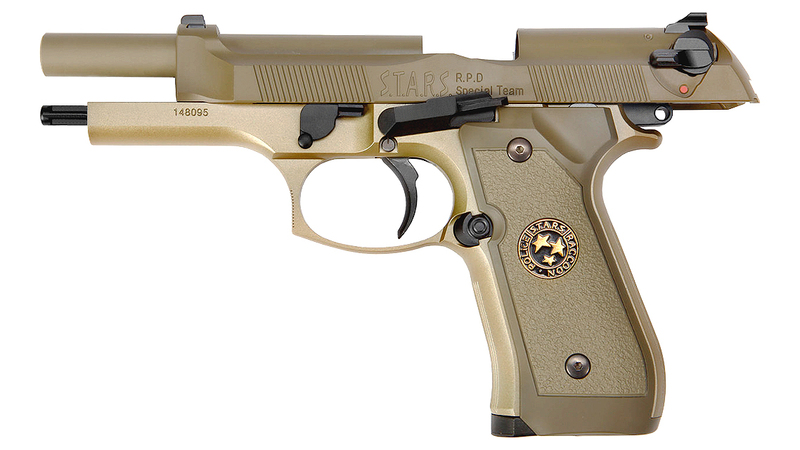 The Original Samurai Edge is the pistol that was modified from the M9 and used amongst S.T.A.R.S members at Racoon City and had various customization made to it. 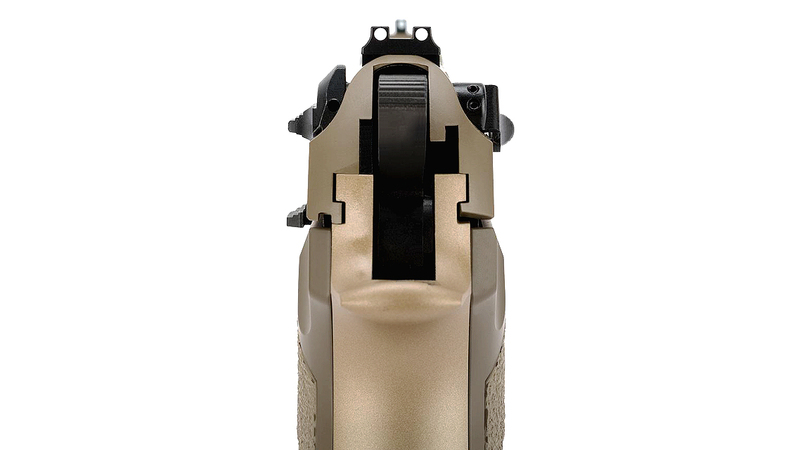 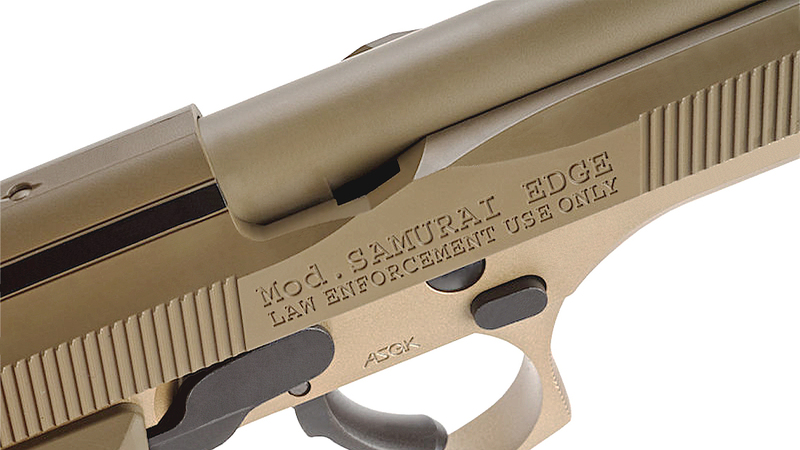 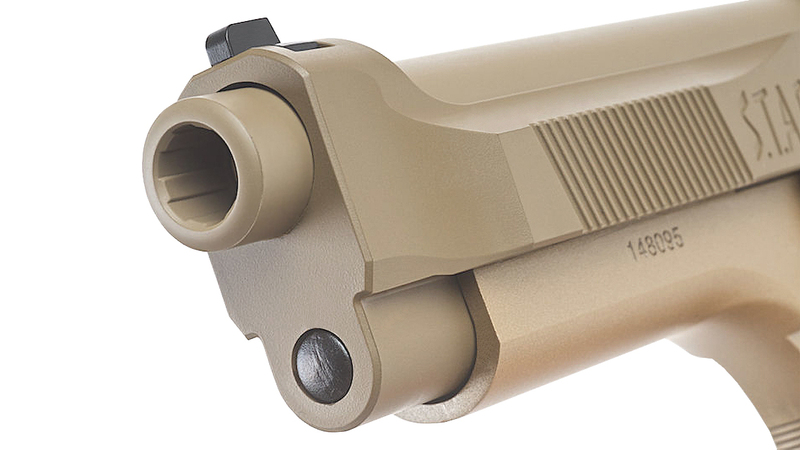 What differs this from the standard Samurai Edge is that it has a special Tan two tone color scheme and an extended slide release. 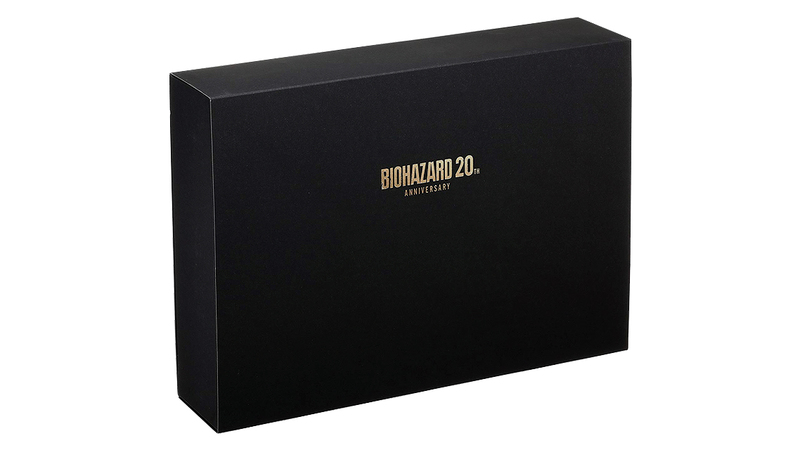 Encased in layers of well decorated card box that screams it's the 20th Anniversary Limited Version, inside is a Tan colored hard case with serial numbers matching the gun, Yes each gun has different serial numbers. 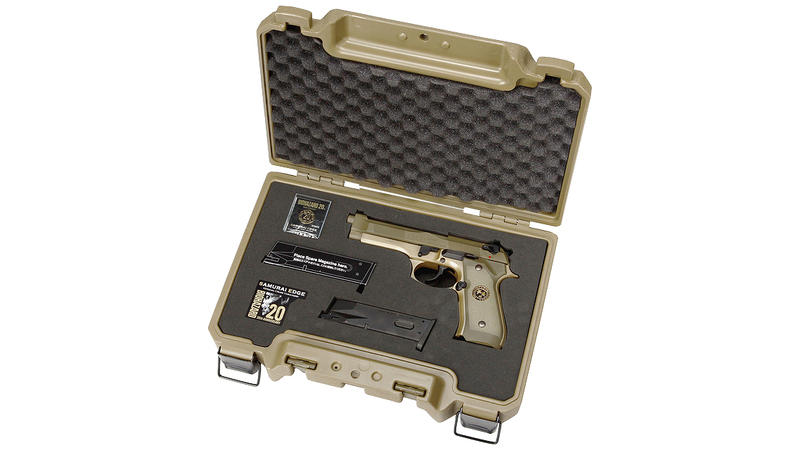 The hard case holds the gun , two magazines (only one magazine included with the gun, the other is an empty slot) and the manual. 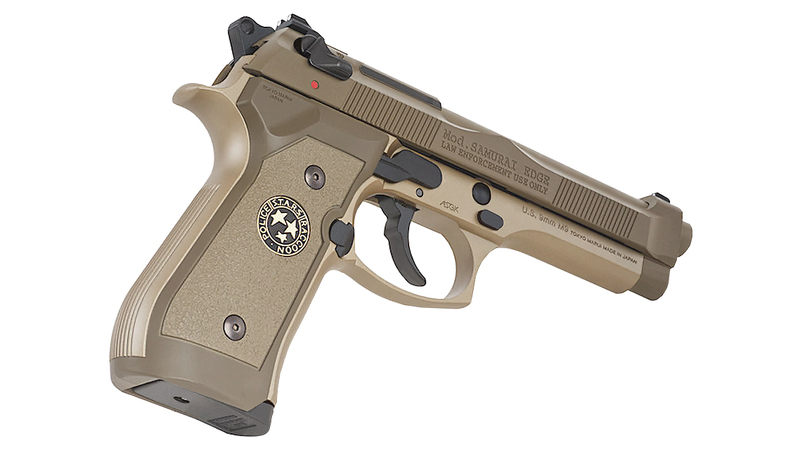 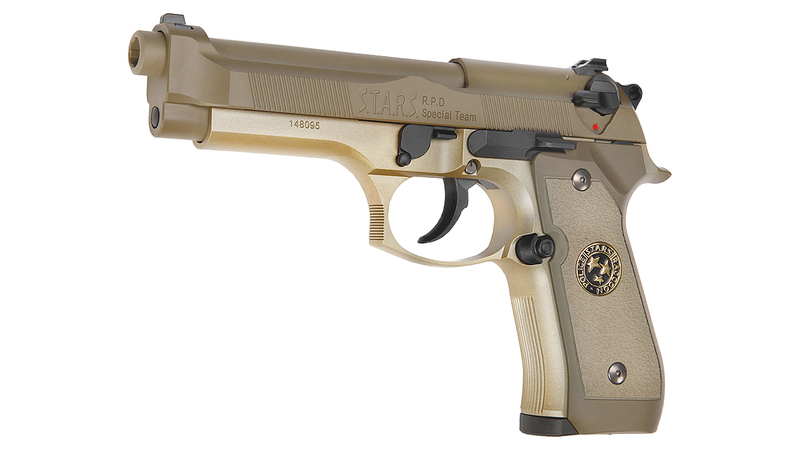 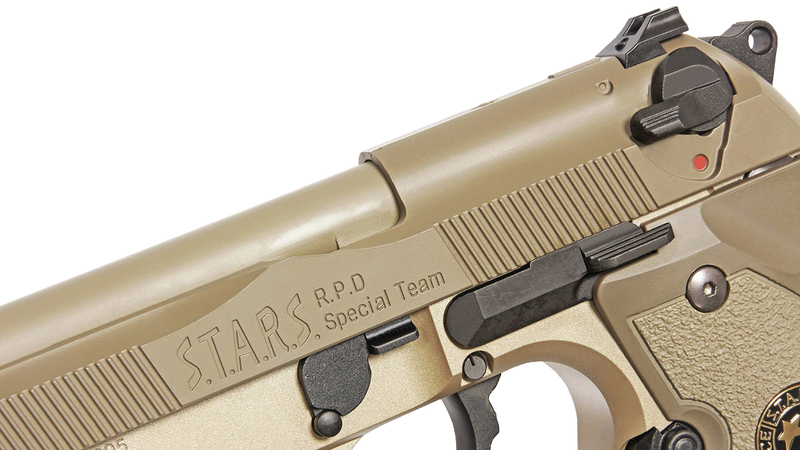 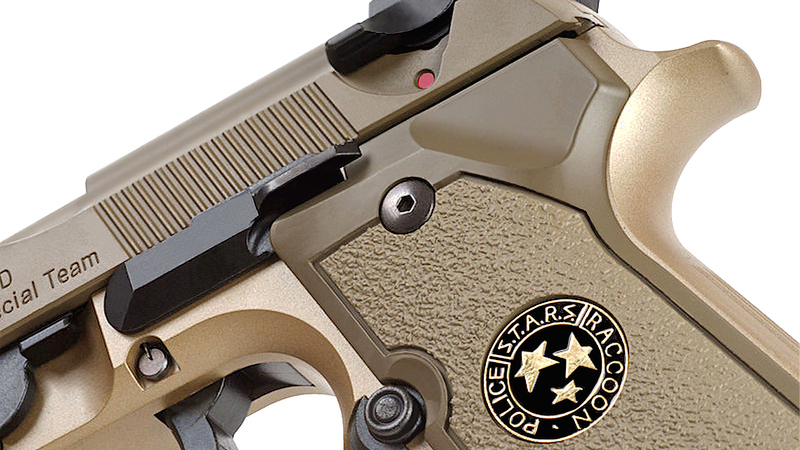 If you are a huge fan of the Biohazard and Resident Evil series, this is a gun you cannot miss, as it has all the STARS engraving, the remarkable STARS Medillion on the grip, extended slide release ,extended grip panels that also double as a magwell and most importantly the special two-tone color scheme that is first used on the Samurai Edge series. 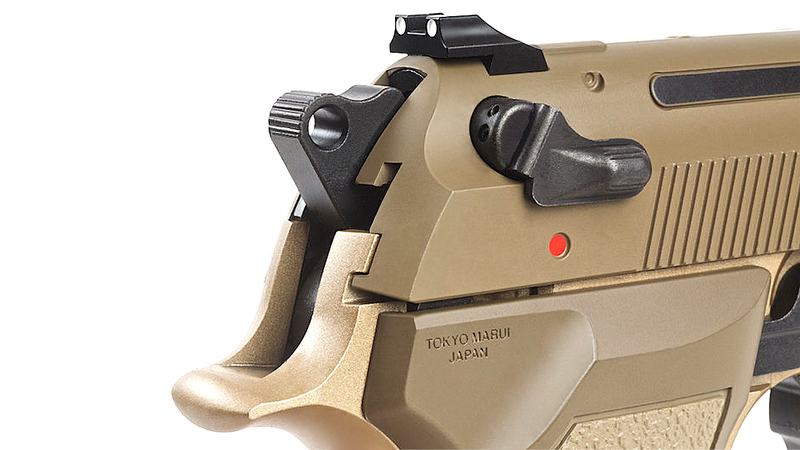 Internally it is powered by the NEW M9 system from Tokyo Marui that features an adjustable hop up and a function decocker, it will still use the standard M9 magazines that is in the market already.